Landmarks declined to designate a fourth rowhouse at 38 Dominick Street after the owner argued that building had lost its historic fabric. 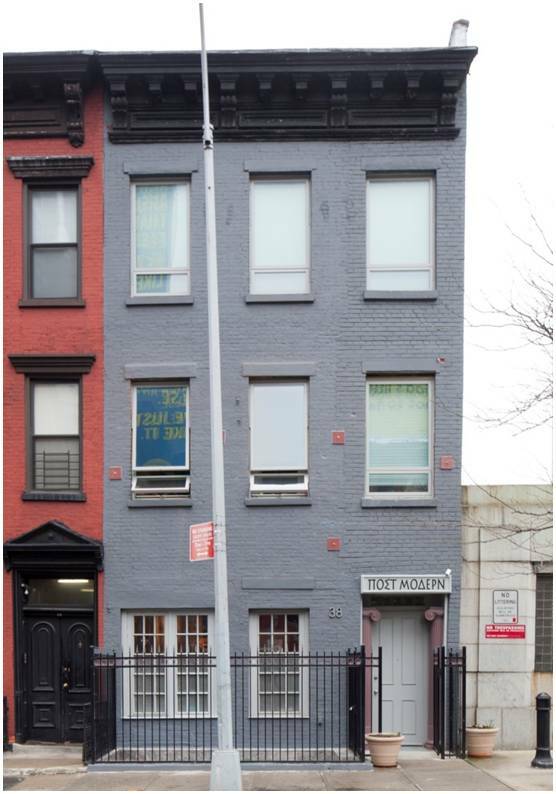 On March 27, 2012, Landmarks designated three adjacent Federal-era houses at 32, 34, and 36 Dominick Street near the Holland Tunnel in SoHo as individual City landmarks. Landmarks had originally calendared the three buildings along with a fourth Federal rowhouse at 38 Dominick Street, but the agency ultimately declined to designate that building. The four rowhouses were once part of a row of twelve buildings completed circa 1826. The four remaining buildings have all undergone alterations, with 34 and 36 Dominick Street each gaining an additional floor. They have both retained their Flemish bond brickwork. 32 Dominick Street remains the most intact, maintaining its original two-and-a-half story height, peaked roof, and dormers. At Landmarks’ June 2011 public hearing, Robert Neborak, the co-owner of 34 Dominick Street, testified that his building had lost its original Italianate decoration and was structurally compromised. Neborak argued that the only characteristic of the Federal style that remained was Flemish bond brick, which had been altered. The owner of 36 Dominick Street also opposed designation. Adrienne Atkinson, who owns 38 Dominick Street with her husband Frank Dobbs, testified that the building had been radically changed over the years with only a small portion of the facade still composed of Flemish bond brick. Atkinson also testified that elevating the street grade in the 1920s to accommodate the Holland Tunnel truncated the building’s facade and eliminated the stoop. In addition, she claimed the building had only retained three Federal-era lintels, that it had lost its original windows, and that the west side of the building had been replaced. Eric Sheffield, the architect who had most recently worked on 38 Dominick Street, testified that the building had lost the majority of its front facade and the entirety of its interior. A structural engineer retained by Atkinson and Dobbs claimed that the facade was in poor condition and needed stabilization. 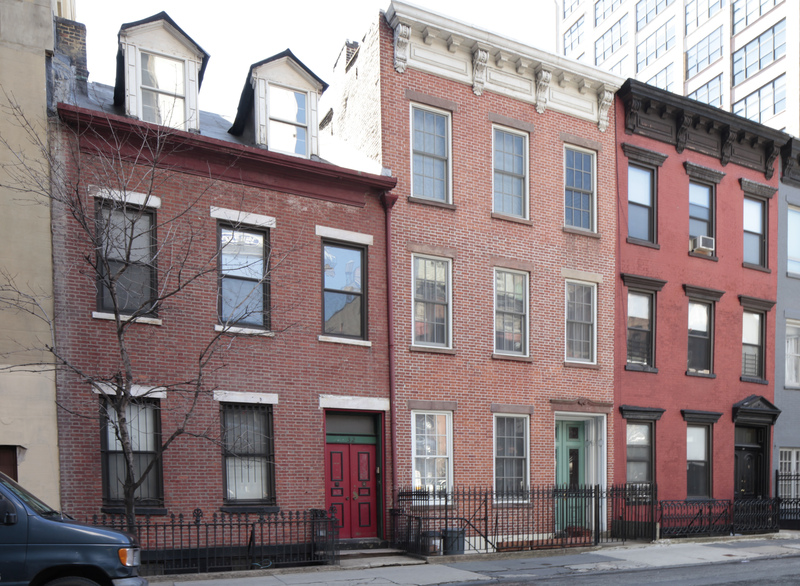 Atkinson and Dobbs’ attorney, Kramer Levin’s Valerie Campbell, argued that 38 Dominick Street did not meet the landmarks law’s criteria to be designated as an individual landmark because it no longer exhibited the characteristic form and details of a Federal rowhouse. 38 Dominick Street. Image: LPC. At Landmarks’ March 2012 meeting, Chair Robert B. Tierney explained that after extensive analysis by Landmarks staff, he would recommend that the commissioners decline to designate 38 Dominick Street based on its lack of Federal-era details and materials. Tierney recommended designating the remaining three rowhouses. The commissioners agreed with Tierney’s recommendation, and voted unanimously to designate 32, 34, and 36 Dominick Street and to remove 38 Dominick Street from Landmarks’ calendar. LPC: 32 Dominick Street, Manhattan (LP-2480); 34 Dominick Street, Manhattan (LP-2481); 36 Dominick Street, Manhattan (LP-2482); 38 Dominick Street, Manhattan (LP-2483) (March 27, 2012). CityLand Comment: At the same meeting, Landmarks also designated a Federal-style rowhouse at 310 Spring Street. Identified as the Dennison and Lydia Wood House, the three story structure was built circa 1818 and retains its original Flemish-bond brick and paneled stone lintels.